– As a workplace of 2600 direct employees – and daily transit of 25,000 employees – our demands for efficient data management are huge, says Nicholai Christensen, Knowledge Manager at CPH IT. That made BusinessNow the obvious partner. Previously, a lot of processes were handled by a number of sites and manual workflows that required many resources in everyday life. Thus CPH and BusinessNow joined to build a portal – CPHNow – solving all tasks and using ServiceNow as a supporting tool. All employees can access CPHNow via their mobile device. They can order, post error messages, and access guidelines and news, says Nicholai Christensen. – We currently have 10,000 users and 25,000 potential users on the portal. Our newsfeed has 42,000 views, and I estimate that we have already saved about 3,000 working hours across CPH’s workflows since so many activities have been digitized – from shift scheduling to error reporting and course bulletins. – CPHNow has added power to CPH, says Lasse Wilén Kristensen, Service Management Consultant in BusinessNow. – I have an entire reference book at my fingertips, says Mark Snowden, Area Station Manager in Icelandair. – If the answer is not in my mind, it’s at my fingertips. It makes a huge difference. 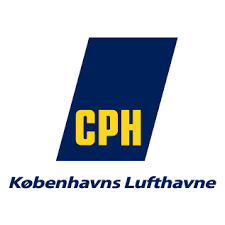 Facilitated workflow for employees and customers is a necessity for CPH because of rapid development, meaning currently 25 million flights a year and plans to grow to 40 million flights a year by 2020. With the necessary procedures at hand, safety is maximized – whether 25 or 40 million flights a year. CPH is ready for 2020. – Our 2020 plan has clear goals for digitization. These goals are fully met with CPHNow – and even more than that, says Nicholai Christensen. As many companies are about to become GDPR compliant per May 25, 2018 – CPH is ready – thanks to CPHNow. With efficient and flexible data handling, CPH will not experience data leaks – which, according to the new Personal Data Regulation, implies a risk of fines of up to 4% of the company’s total global revenue. – For companies with a high turnover – like CPH – data leaks can be fatal, according to the GDPR demands, Nicholai Christensen explains. – CPH has been good at articulating all requirements for the service management process – which made the implementation a true pleasure. We are proud of the result and look forward to the continued cooperation, emphasizes Lasse Wilén Kristensen.